It looks like Maxwell had the last laugh over fellow Aussie Warner. 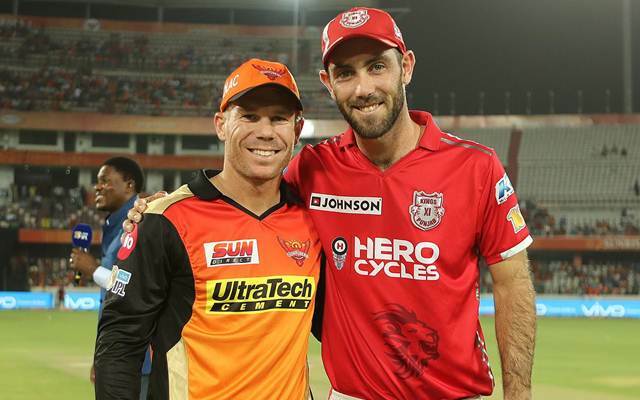 The Sunrisers Hyderabad skipper David Warner had almost led his team to another IPL final in two years, with an ecstatic display in the group stages. Although the first round went according to the plans of the Aussie, the playoffs did not quite go their way. They went down against a quality Kolkata Knight Riders side after rain spoilt their chances at Bengaluru. Warner wished both the teams good luck before the all important IPL finals, with Mumbai Indians and Rising Pune Supergiant locking horns for the trophy. The left-hander at one stage after Mumbai struggled batting first had posted on Twitter saying that “All but over I think for Mumbai”. All but over I think for Mumbai. It was a game of high intensity. The outcome was determined by one team’s ability to handle the pressure and crunch of the situation better than the other and that was out of sheer experience. Rohit Sharma was leading his side in the third final while it was just the second and also the last year of existence of the Supergiant team. It was not only David Warner, who thought that the total was an easy one for the Rising Pune Supergiant, who boast the top cricketing stars such as Steven Smith and MS Dhoni in their batting line-up, who are easily the most valuable players in world cricket. The match was the best of IPL finals till date with the balance of the game swinging towards both the teams for equal periods. In the end, it was the Mumbai Indians who pulled things back to restrict Pune one run under the sub-par total they posted. Glenn Maxwell meanwhile was sneakily getting ready to troll fellow Australian after Warner had posted the tweet on the microblogging platform. The Kings XI Punjab skipper replied with laughing emojis after the end of the game. It looks like Maxwell had the last laugh over fellow Warner as Mumbai Indians went on to win the game against Rising Pune Supergiant by a solitary run.